Nowadays, more and more people face the digestive problems because of improper foods and daily diet. And there are some who suffer from lactose intolerance that is known as a digestive problem with the special food “lactose”. The patients with this condition should be aware of its basic information, causes, symptoms, treatments, and also natural home remedies for lactose intolerance. 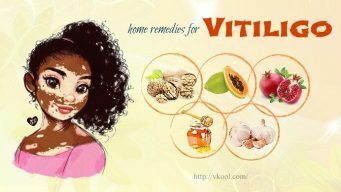 At present, VKool.com would like to show you 21 natural home remedies for lactose intolerance & information. The suggested remedies certainly supply you the easiest and most effective methods for you to deal with this digestive condition. For those who don’t know about lactose intolerance and how to cure it, spend a little time following the articles to get more information. Lactose intolerance is a condition in which the body cannot effectively digest lactose that is found in milk and many dairy products as a type of sugar. Lactose intolerance is different from the food allergy to milk that someone can be mistaken. Lactose intolerance commonly occurs to adults, which has been indicated that the condition is more often in Native Americans, South American, Asian, and African than in European people. Some patients with lactose intolerance fail to digest any milk products while others just can consume a few of milk products or some certain types without unexpected problems. If lactose is not well digested when moving through the colon or large intestine, people can suffer from some uncomfortable symptoms like gas, bloat, and belly pain. The most important challenge for people who have lactose intolerance is that they have to follow a proper diet to avoid discomfort and take enough calcium for the bone requirement. The main cause of lactose intolerance is the deficiency of an enzyme called lactase in the small intestine that plays a role in breaking down and digesting lactose. The time when the small intestine stops secreting this enzyme can be after a short-term illness like the stomach flu or during a lifelong disease like cystic fibrosis. In addition, the secretion of lactase can also be restricted after a surgery conducted on the small intestine. Lactose tolerance that is caused in these cases can be just temporary or even permanent indeed. In rare cases, lactose intolerance can occur in newborns, which means a person cannot consume anything with lactose from when he is just born. Also, some premature babies can suffer from temporary lactose intolerance as they do not make lactase yet. And after they begin making lactase, the condition gradually goes away. Ginger is also famous for dealing with digestive problems and it is also beneficial in relieving the symptoms of lactose intolerance. More clearly, ginger is highly appreciated as one of the excellent home remedies for lactose intolerance because it helps reduce abdominal gas thereby relieving the body from gastrointestinal issues caused by the condition or indigestion as well. Consume 3 cups of ginger tea daily to get the quick relief from lactose intolerance. Saffron is considered one of the home remedies for lactose intolerance. The reason is that saffron is able to coat the membranes of the stomach, small intestine, and stomach and colon and additionally support a healthy digestive system. Saffron, moreover, is effective in getting get rid of gas formation in the intestine and relieving the pains in the stomach that are known as the symptoms of lactose intolerance. It is also loaded with essential oils including pinene, cineole, borneol, geraniol, terpinene 4 –oil and commonly considered as an anticonvulsant and a blood purifier. Saffron, in addition, contains essential carotenoids including beta carotenes, zeaxanthin, and lycopene that all help prevent your body from infections, cancers, and stress. You can see how saffron impacts on depressive disorder after over-viewing the study of NCBI here. To use saffron as one of the home remedies for lactose tolerance, you should drink saffron tea, 1 cup per day, to get the quickest and best result. Avoid consuming saffron too much because this can cause some unexpected side effects like nosebleeds, numbness, or vomiting, etc. Saffron is not recommended for pregnant women because it can cause a miscarriagebecause of the contraction that possibly occurs in the uterus. Peppermint is another of the natural home remedies for lactose intolerance. As mention above, lactose intolerance can cause further symptoms like diarrhea that is effectively dealt by the intervention of peppermint. Being famous for calming qualities, peppermint can help relieve the pains caused by lactose intolerance. In addition, it also gives positive impacts on gallbladder and gastrointestinal tracts meaning boosting the digestion in common. As an advice, you should drink peppermint tea 2-3 times per day with the addition of honey if you want. Broccoli has been well known as a nutritional powerhouse, which makes it widely used in healthy recipes. In fact, broccoli flourishes in the winter meaning you can just consume the vegetables during this time. In common, broccoli contains phytonutrients that help prevent the risks of many diseases and conditions including lactose intolerance as well. Moreover, it is believed to boost the immunity and remove free radicals in the body due to the presence of vitamin C.
To consume broccoli as one of the home remedies for lactose intolerance, you should add it to a salad or stir it with some other veggies. Alternatively, make fennel tea by adding a teaspoon of the seeds to a glass of hot water, keeping for 10 minutes, straining the seeds, and drinking 3 times a day. In addition, Fennel seeds are also helpful for those who have burning symptoms. Another of the home remedies for lactose intolerance is orange, a well-known citrus fruit widely grown in the tropical areas. In fact, orange has a wide range of health benefits, which may be more than that of similar fruits like lemon and tangerine. With due to the concentration of Vitamin C, orange is really ideal for lactose intolerant. All you need to do is consuming this fruit daily along with your proper diet to keep the condition at bay as well as maintain the health status. In addition, oranges contain fiber that plays an important role in the digestive process and further preventing colon cancer. More clearly, the fruit can aid digestive in preventing constipation and irritable bowel syndrome that are known as common symptoms of lactose intolerance. Sardines are also considered home remedies for lactose intolerance. The reason is that sardines contain a good source of calcium that usually lacks in the diet of those with lactose intolerance. Because the patients with this condition cannot drink milk and eat some products made from milk, they can take calcium in through sardines. In addition, sardines contain a high level of omega 3 fatty acids essential for lowering blood pressure, supporting the cardiovascular health, and preventing the inflammation. Apart from sardines, you can consume tofu, nuts, beans, green veggies, and dried apricots with rich sources of calcium as other home remedies for lactose intolerance. Lemon juice is another of the effective home remedies for lactose intolerance. The juice may be famous for various health benefits due to its presence of antioxidants, acids, or healing properties. In fact, lemon juice is beneficial for dealing with stomach ache caused by lactose intolerance. Consume the drink before each meal.